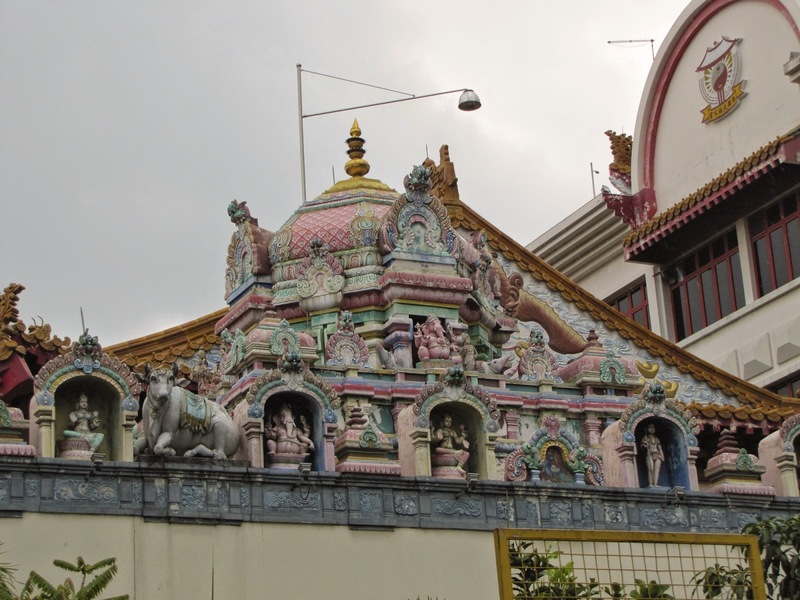 Within 15 minutes walk of each other sit 2 temples in the Loyang area, between Changi Prison and Pasir Ris. 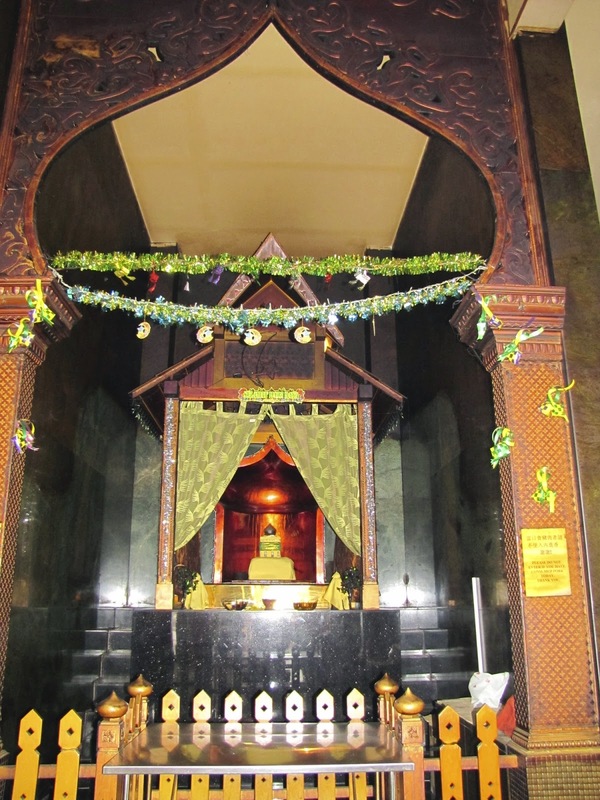 This first temple was Yan Kit Village Temple at 130 Mariam Way 507078. Sadly there is no longer a Yan Kit village and the temple has moved across the road from where it was originally founded in 1939. The Yan Kit village was a Hainanese village and these people originally came from Southern China. The Hainanese people were mainly fishermen and a vast exodus moved to Singapore at the end of the 19th and beginning of the 20th centuries. 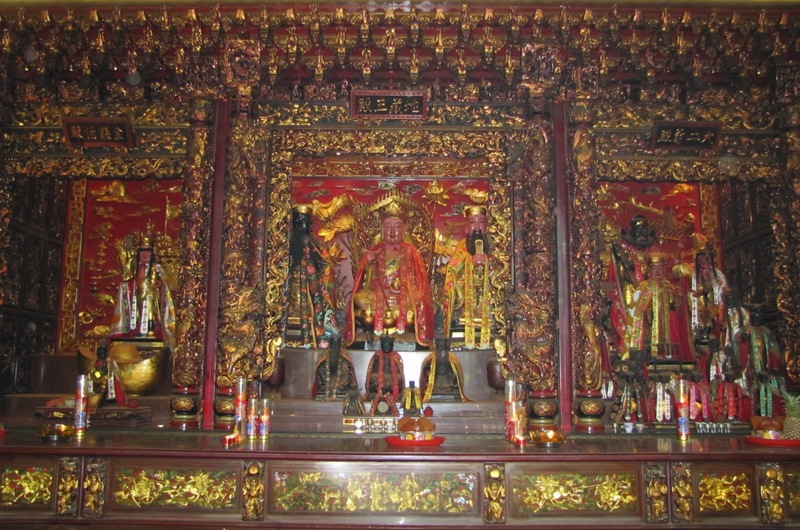 This is probably why the temple is also known as Shu Wei Sheng Niang miao, Shu Wei Sheng Niang known as the Goddess of the Waterfront (The temple would once have been within sight of the ocean before Singapore's land reclamation occurred) She is the Guardian Goddess of this temple. Slightly confusingly we were told by the kindly caretaker that the deity here was Matsu - Goddess of the Sea. I'm unsure whether these two goddesses are one and the same? There seems little or no information about this temple on the Internet apart from a couple of You Tube clips - one that I have attached below. Does anyone have any further information? Not sure whether these popup loos and shoes were for the expected extra devotees to 7th month festivities or for the "ghosts"???? 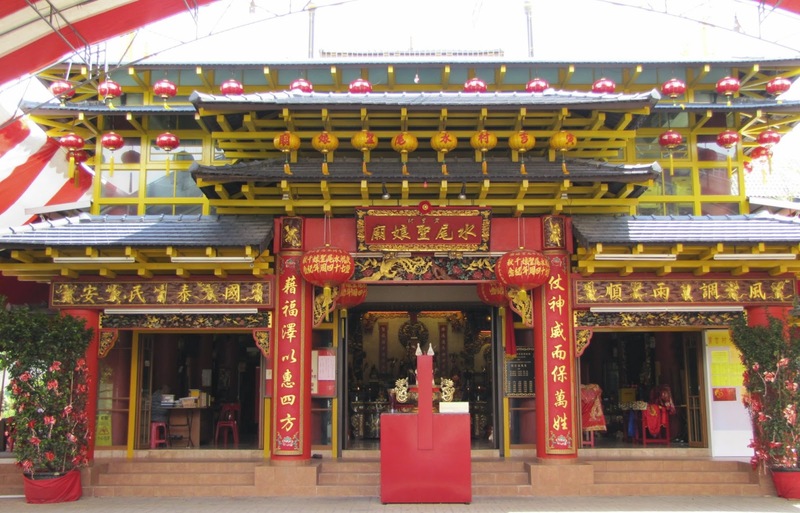 Next to visit just a short 15 minute walk away was Tua Pek Kong Temple at 20 Loyang Way. 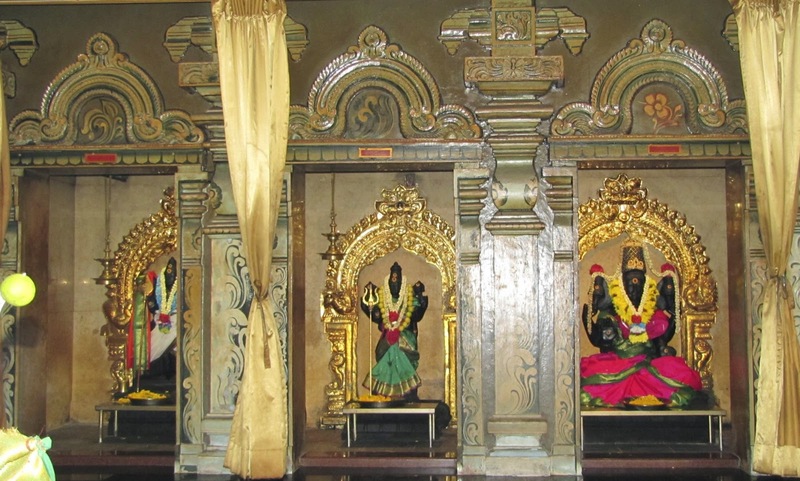 What makes this temple so special is that it contains Buddhist, Hindu and Taoist deities and a Muslim kramat (shrine) Its so good to see different faiths being worshipped together on one site, the rest of the world should take note! 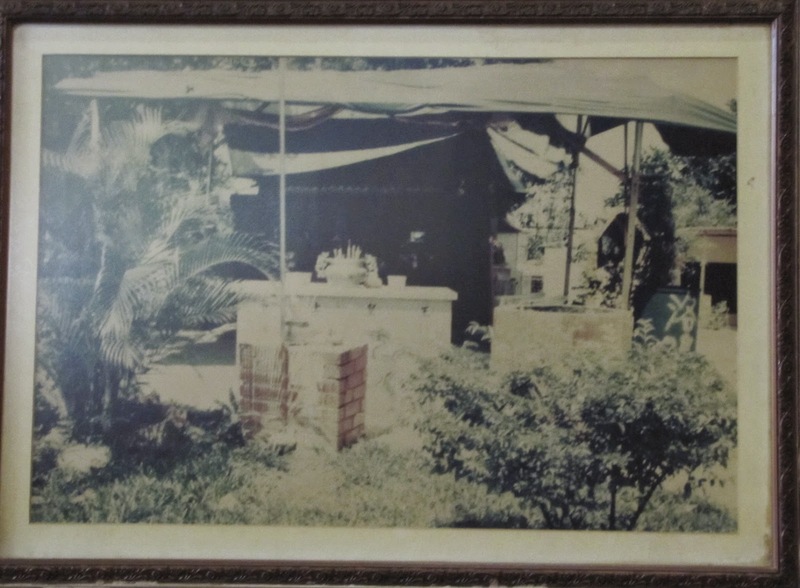 photo on the wall of the old original sea shore shrine - how things have changed! 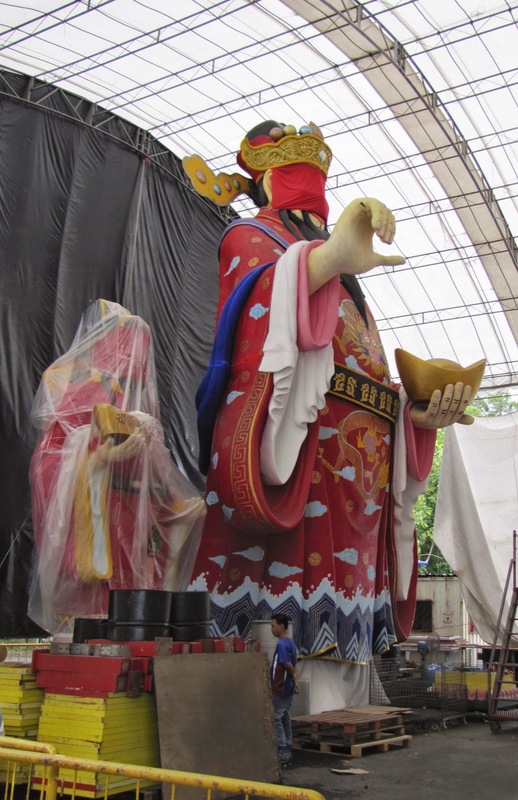 Thanks to huge public donations a new temple was constructed and named after Tua Pek Kong and it has continued to run to this day on public donations. 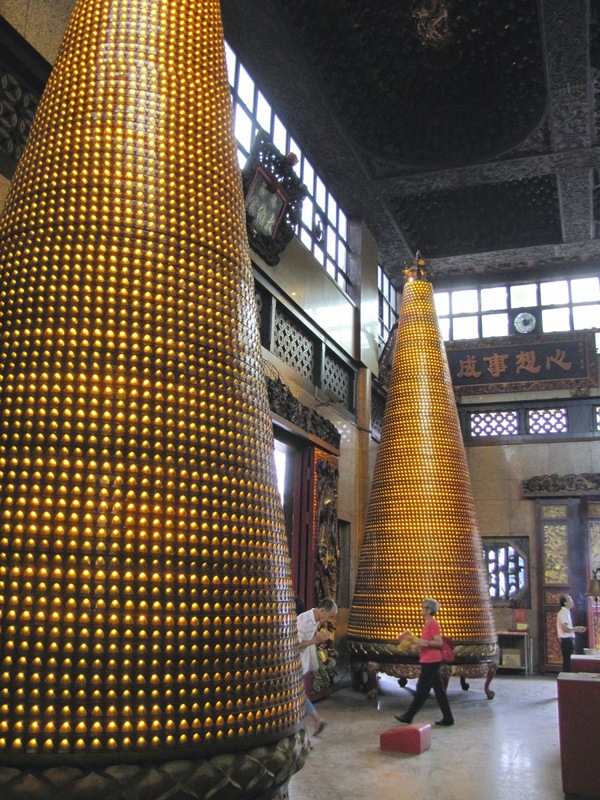 In fact it is such a popular temple that over 20,000 people visit in any one month, with it opening 24 hours a day. The temple will accept any deity and anyone can adopt and take away one for free after a prayer is given (and no doubt an offering) When the lease on this site was up in 2007 it relocated to its current location at Loyang Way and through public donations amazingly $12 million was raised for its construction. As mentioned there are 4 religions worshipped here and when people of any of these religions come to visit they walk around the site in a set order as each part is numbered. 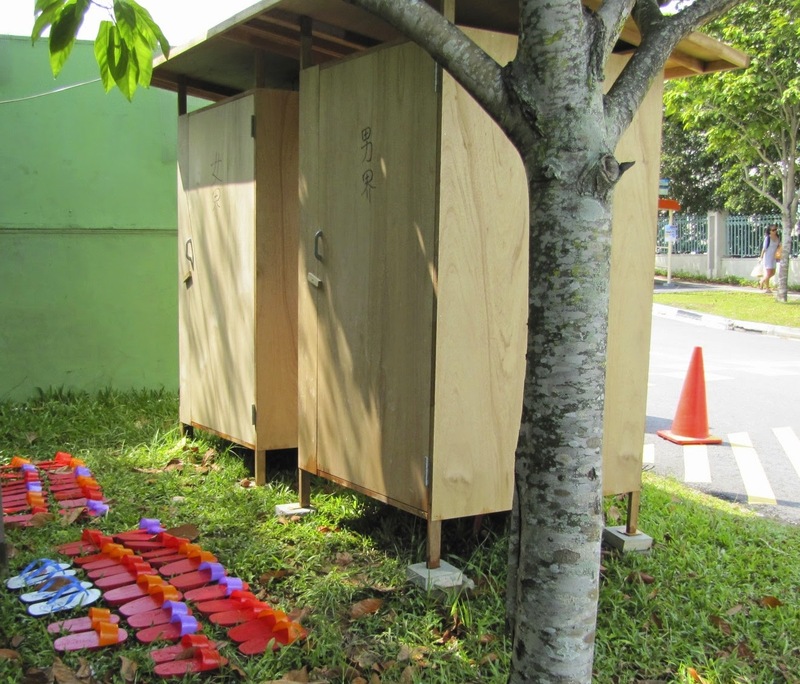 Each numbered site will also say how many joss sticks should be placed there. 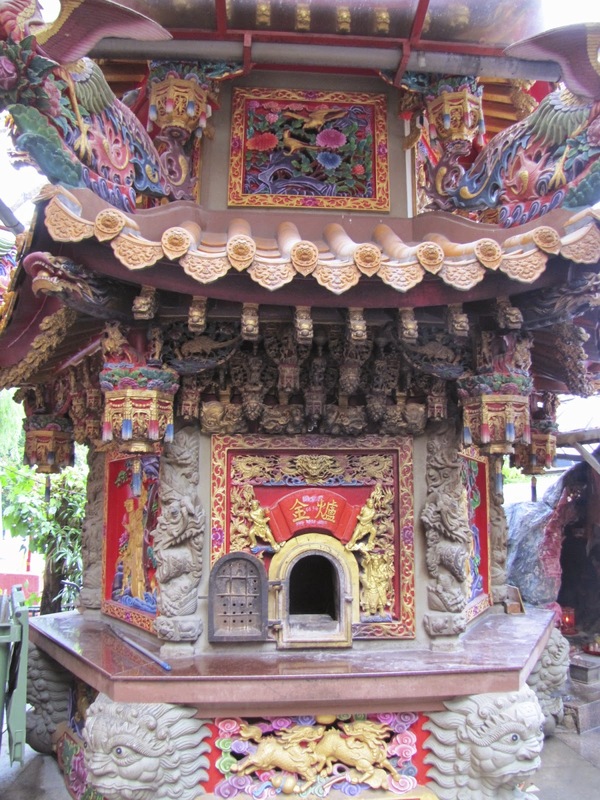 At the front of the building sits the Taoist temple housing Tua Pek Kong. 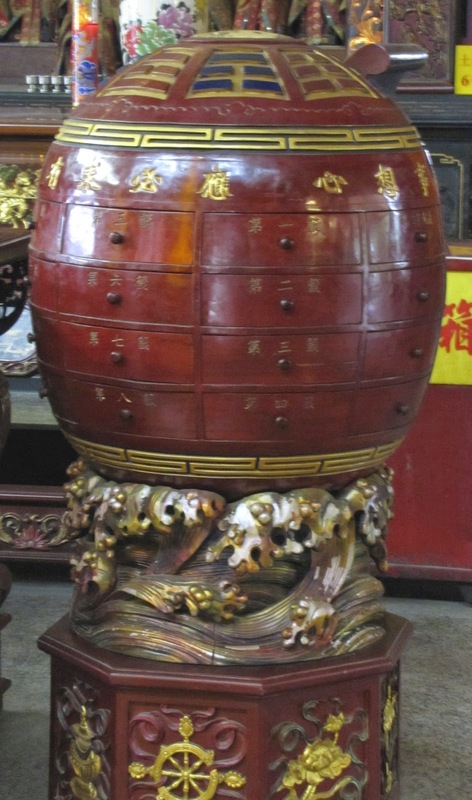 On the ceiling is a huge wooden circular carving with some form of abacus around the edge. 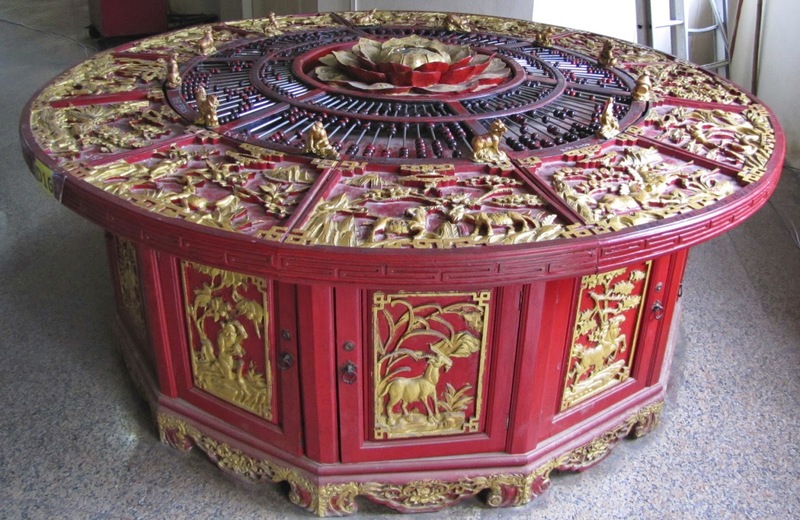 This is also mirrored on the floor to one side where there is a wheel split into the signs of the Chinese year, with an abacus and a slot in each animals section for money to be placed. 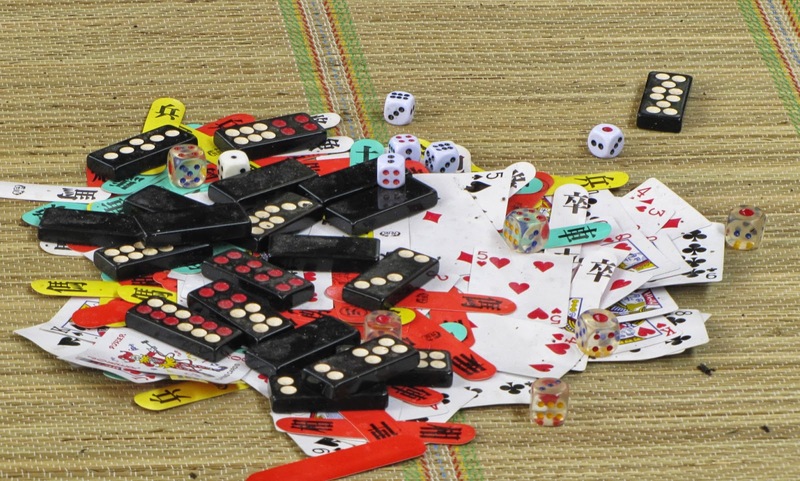 Sadly I can't seem to find much information out about this, although I am assuming lucky numbers are probably set out on the abacus and then money offerings are made to "help" the luck along? If anyone can shed any information on these wheels I would be most greatful. I was born in the Year of the Horse, should I make a wish? Directly behind the Taoist temple sits an equally grand Buddhist one, with all the bright colours and gods associated with this religion. 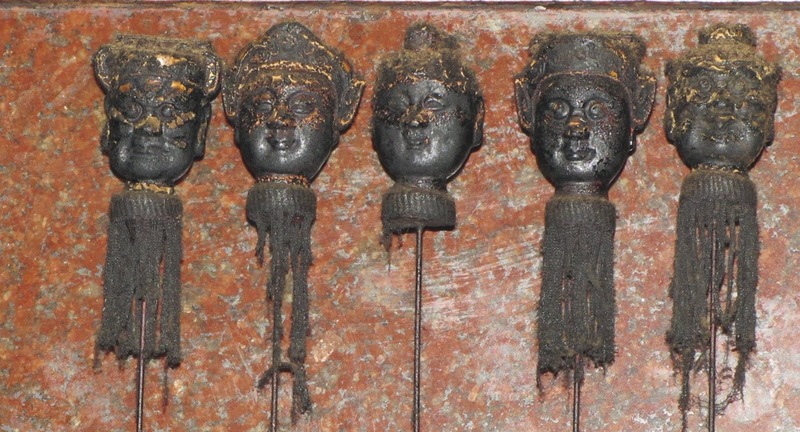 There are many small Buddhas on one wall as often found in buddhist temples. 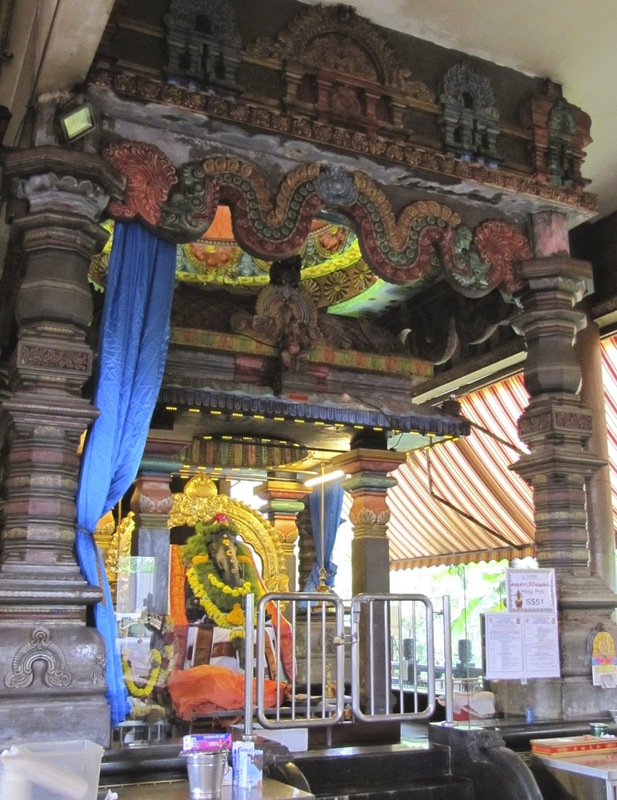 A different but netherless equally stunning wooden carved ceiling sets off this temple. 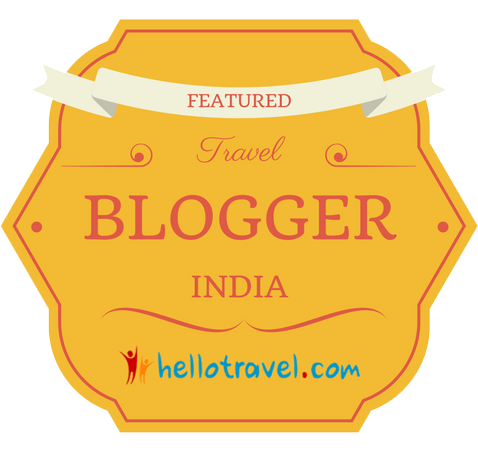 To the right of the Taoist temple sits the Hindu one decorated in the colours and architecture of southern Indian architecture. Sitting silently and simply between the Taoist Temple and the 3 small Hindu shrines is the Muslim Kramat. Kramats are graves usually of spiritual leaders and holy men. Have you noticed a theme running through this yet? Prosperity and wealth.... so often mentioned in Chinese tradition and religion it seems that this multi temple is no exception. 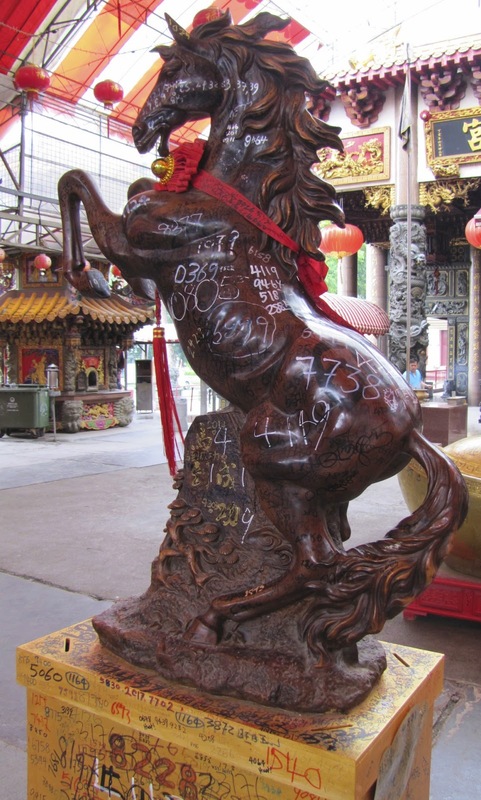 All the statues around the temple and inside the Taoist Tua Pek Kong temple are covered in numbers, why numbers? 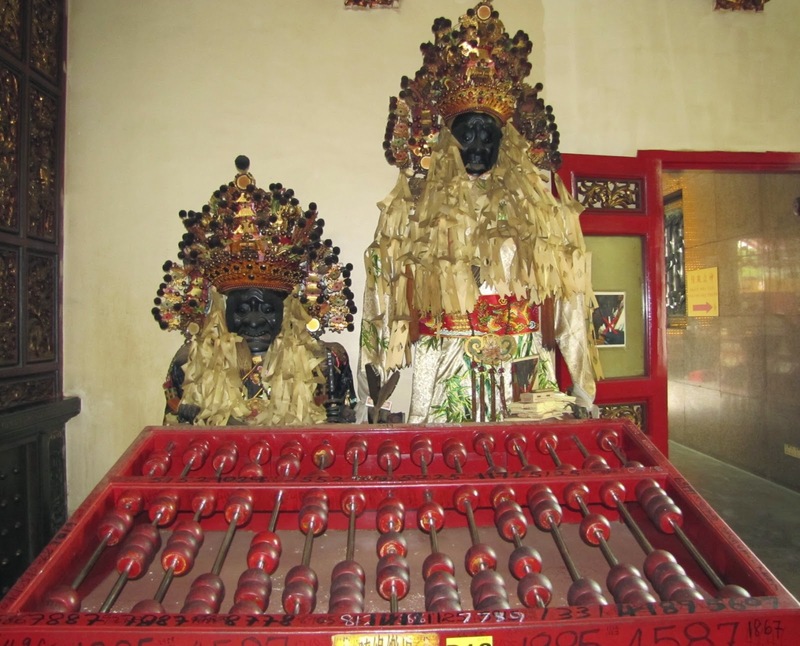 Tua Pek Kong is the God of Wealth and Prosperity and as such this temple is believed to be good luck. Come Chinese New Year thousands flock here to purchase the lucky red bags (ang boas) which hold 4 digit numbers. 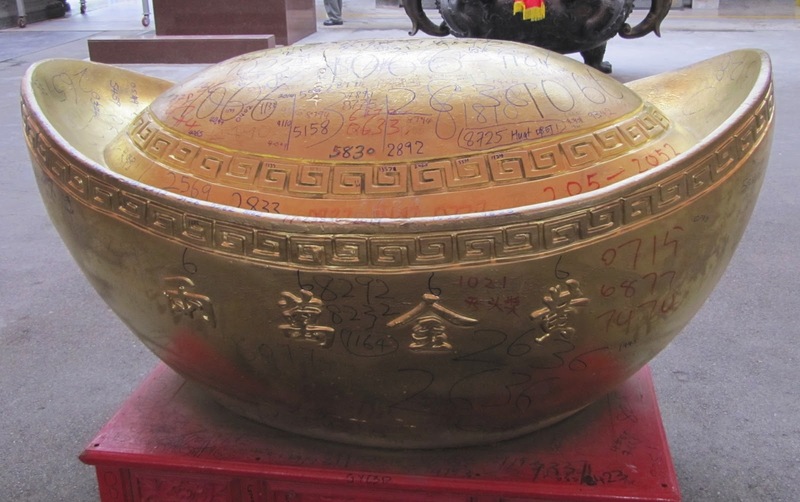 The devotees will write their numbers on the temple hoping to get good fortune from Tua Pek Kong or they will write their lottery numbers down and pray for good luck.... perhaps I should give this a try!!! This year being the Year of the Horse a large horse sits in front on the temple, not a cm is free from people having scribbled their numbers down, as with a large gold Chinese money. 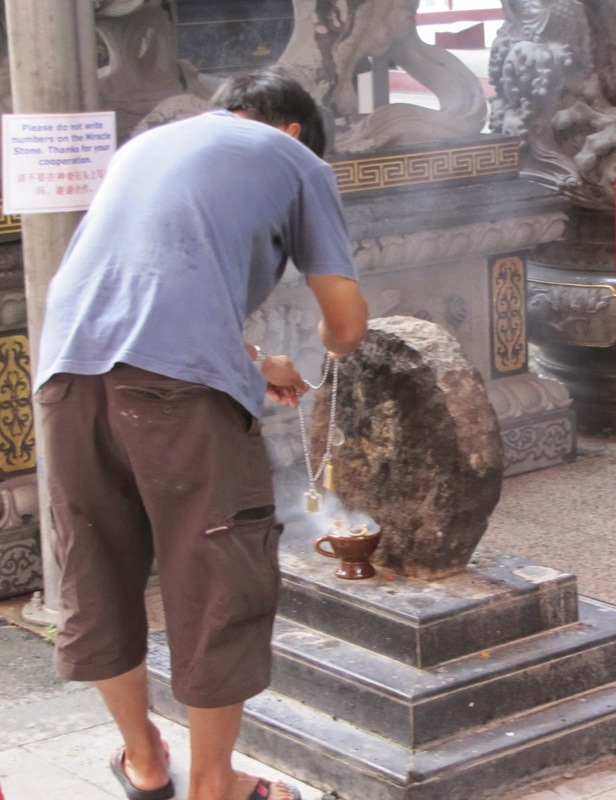 One thing is not covered however and that is the "lucky stone" here devotees will buy incense and place it in front of the stone where you should see your lucky numbers appearing on the stones surface, no writing allowed on this! Extremely large God of Prsoperity!